Those are custom patches. I don't know what's inside of them. You should always extract the files from the latest patch. Open patch-T. If there is no blood elf model, close it and open patch-L. 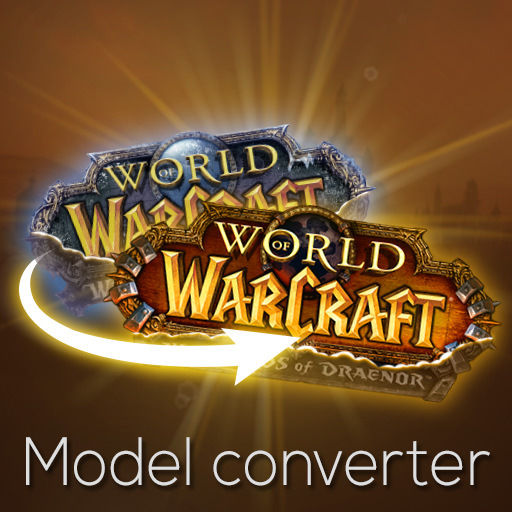 If there is no blood elf model, close it and open patch-K, etc. Also, I edited every single MPQ that has that. Once you modify your model, put it inside a new mpq. If your latest patch is Patch-T.mpq, name your new mpq "Patch-U.mpq". I just edited the model and it works. If it doesn't work for you, then you are doing something wrong. Right, but which file do I open in the editor to access Blood Elf Character Model? Only issue I'm having is I thought that BloodElfFemale.M2 is the blood elf model I need to load? What am I confused about here? That's for the blood elf male. For the female the process is quite different since the jump sequence order is different. -Look for the "Jump Start" animation (in the 3.3.5a model it's ID 108). -Go to NextAnimation and replace "109" with "-1". 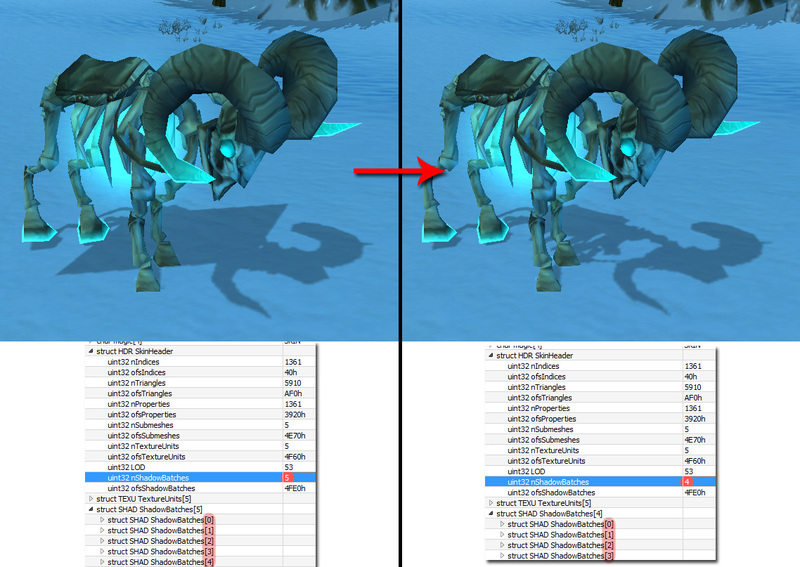 For the WoD/Legion model it's the same (the animation is id 113. Replace NextAnimation "114" with "-1"). Sorry, I'm just getting into this stuff. Could someone please explain it like I'm 5? Download 010editor + WoW templates. -Open the M2 template with 010editor. Open the blood elf model with 010editor. -Run the template (Templates-> Run template). 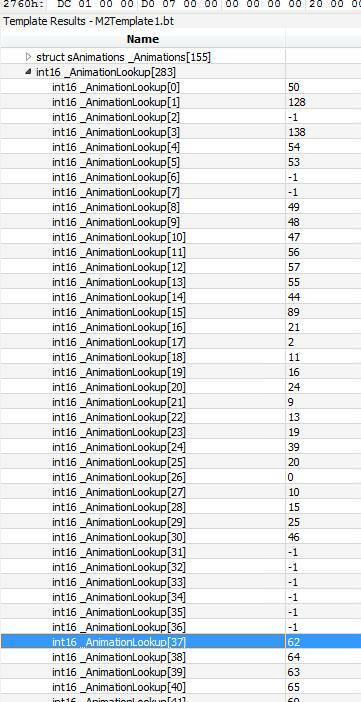 -In AnimationLookups go to id 37 (jump animation id) and replace "61" (jump sequence) with "62" (flip sequence). -Save your model. Now it will allways flip. If you are using the bloodelf model from WoD/Legion, instead of 61 you will see a "71". Replace it with "73". This script for 010 editor converts Wrath of the Lich King .M2 and .SKIN files to Cataclysm, Mists of Pandaria and Warlords of Draenor. If you want to remove the extra flags for some reason, just run the "Cataclysm Sequence Flag Remover" script included in the tools folder. Modelling and Animation / Re: Making sprint trail longer? It's quite intuitive, to be honest. You are not paying attention. There is an option called length (it's under "res"). It's self explanatory and quite relevant to me. If you increase the number, the ribbon will be longer. Don't be afraid to play with the numbers. Trial and error. That's how we all learned here. It doesn't have a dropdown? How do I edit it? Blood is now always visible, despite of the violence level. Added purple blood (for void elves or other purple creatures). Added a Cataclysm version. It doesn't work well in MoP, though. If you don't like the changes, the old version link is still available. then how you can put in a "Wotlk Style" the extra visuals from "Wod or Pandaria?" Put the extra stuff inside a new texture and use it as a "skin extra" slot tied to the skin color. It's the same method taurens use for their fur and female pandaren use for their hair. For example, you can put the undead bones in the extra texture since they don't fit anywhere in the character texture. Same goes for the Pandaren tail and sandals. Since the "skin extra" texture doesn't have a size restriction and doesn't need to be indexed, you can add a lot of details. But what was the problem that make the crashes on some guys? 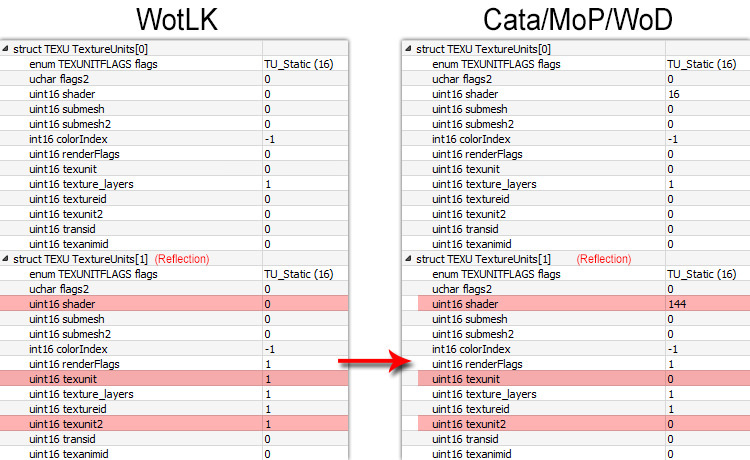 M2mod 4.8.13 seems to corrupt the skin file of some of my models. Avoided using m2mod and the crashes stopped. 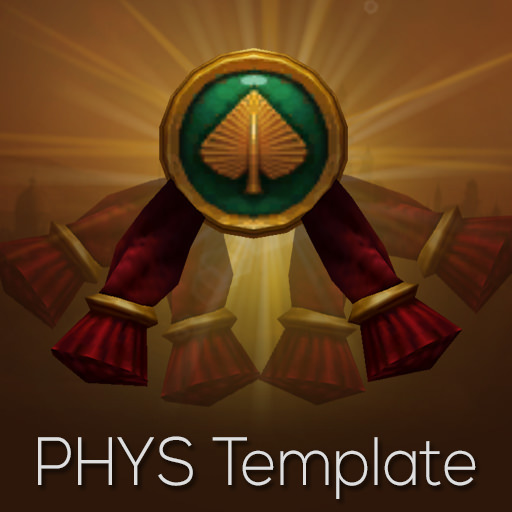 Maybe it's a stupid question, but where to place texture and particles folders? Put them inside an MPQ. Modelling and Animation / Re: How to edit an existing ribbon? Here's a picture of it happening with fear. Is the texture square or rectangular? That bug happens a lot with custom rectangular textures. If square, change them to rectangular. 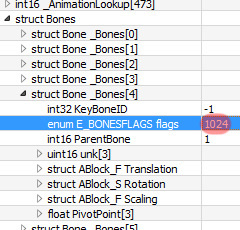 Also, add a few 0s at the end of your file and add 1 digit to your texture length. For example, if your texture has 12 characters, change it to "13". If your texture is 24, change it to "25" and so on. So, I did power word: shield and I am 100% positive I am not missing any textures yet the green box thing still occurred. I logged out and back in and it was gone? Try this: add a few "0"s at the end of your file and see if it still occurs.